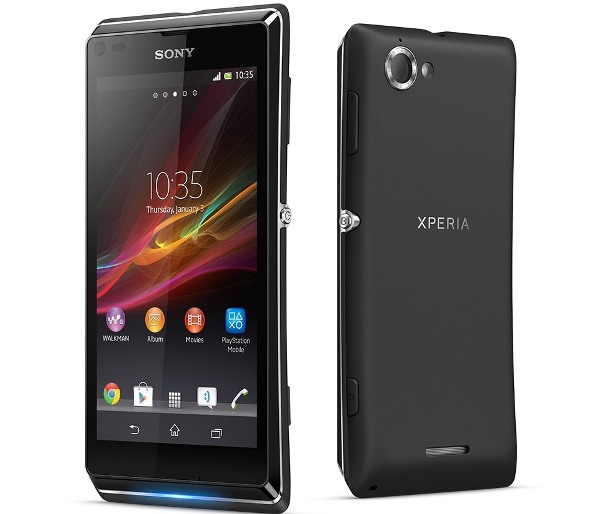 Being a relatively cheap device, but definitely not the least expensive one, the Xperia L never goes beyond $200 in terms of price. Launched in May 2013, the smartphone uses the 4.1 version of Jelly Bean and is equipped with a micro SD. Using a mini SIM card and having 8GB of internal storage space, this is the kind of Sony device you’d want if you like taking photos. Thanks to its frontal, as well as the rear 8 MP camera, this one can help you keep track of you traveling experiences, special moments with friends and family plus many other things that you can also record. All of these pictures and videos will be erased, though, in case you ever do a hard reset on the Sony Xperia L. If you wonder when such a procedure should be used, here is the answer: whenever you’re having trouble keeping the phone on and using its apps, when it became very slow or unresponsive, when you get continuous errors and the device shuts down or restarts without you doing anything. You should also use a reset to delete all files at once and reinstall the original version of its OS before selling it to another person. If the phone ever gets too slow or in case it stops working as it used to and shows error messages on the screen, it might help a lot to do a reset. Before you go for the master solution, though, it is recommended to power off the device when it’s blocked and remove the battery from the slot. After a minute, you can reinsert this one back in and turn the phone on. Go to Settings and scroll to Backup & Reset. Select Factory Reset and tap Reset Phone. Read all information and tap Erase All. This will prompt the wipe, and then the phone will reboot. Press Volume Up, and then hold Power at the same time. Keep holding both keys, and wait for a menu to appear. Release them when the logo pops up, and read through the menu. Use Volume Up and Down to scroll and Power to select an option. Look for the Wipe Data option and confirm it by selecting Yes. All other instructions will be shown on the screen, so you simply have to follow what’s shown to you in this case. The last method is probably the easiest one that you could use, but there’s also many other options. You could, for example, get the Flashtool installed and do the same things that you would’ve done on the Xperia E phone, right here.